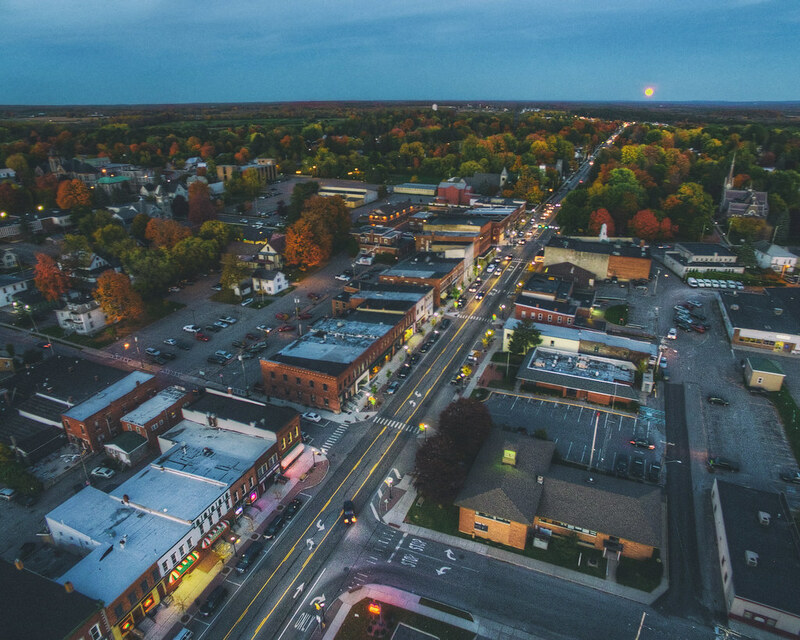 The weekend marked a Hunter’s supermoon—one that also coincided with the moon rising along the axis of Main Street in Canton, New York, as well as coinciding with the local period of peak foliage. Can one small town handle all of those events? My quadcopter and I were on hand to investigate. From 100 meters up, Main Street looked just about perfect. You can spot the awning of the Chinese restaurant and the movie theater that I’ve photographed previously, but the same structures take new meanings.